Naughts & Cross stitches: I lost 2kgs this week! So excited! I was looking at myself in the mirror this morning and I thought I saw a bit of a difference but I wasn't wanting to be too optimistic. I am looking forward to what comes this week. 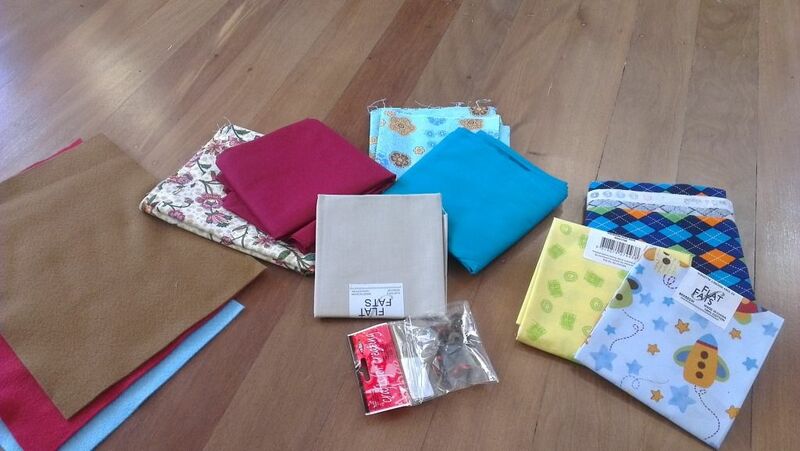 Oh and to top that off I visited Spotlight this morning and only spent $40 on fabrics. I have enough fabrics for 4 bears and 2 owls :D ... though I only have the fabric left for 2 bears since I have already made 2 today. I used the rocket ship fabric and the blue check today. The red and flowers are for one owl and the blue ones are another. I will show you the owl when I finally start it. 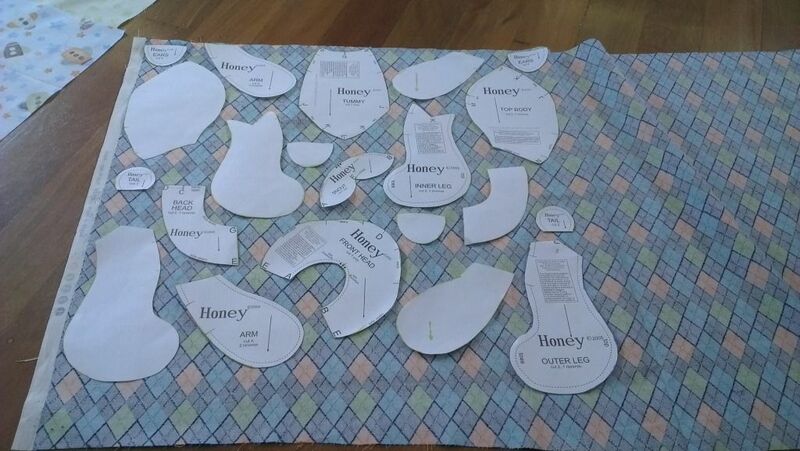 Here is the pattern laid out on the fabric I had to buy a length of this piece so I have enough for another. So here is my little cousin's birthday present it is due on Saturday so at least I managed to get it done with plenty of time. 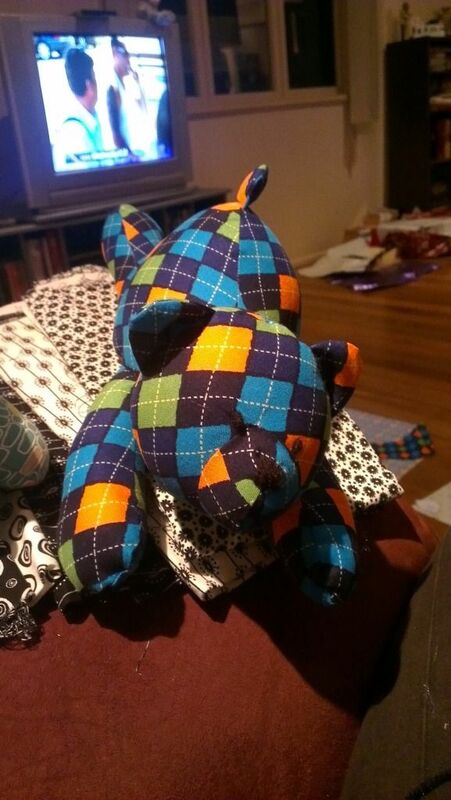 Now I did mention that I have made two bear today so here is the rocket ship bear. You may notice that although the head looks alright the rest of the body s slightly deflated :D I haven 't managed to finish stuffing it yet and it is now bedtime! Hopefully I can finish it sometime inn the next day. Congrats on the weight loss! Can't comment on the bears cos work won't let me view pictures, so will check them out later. 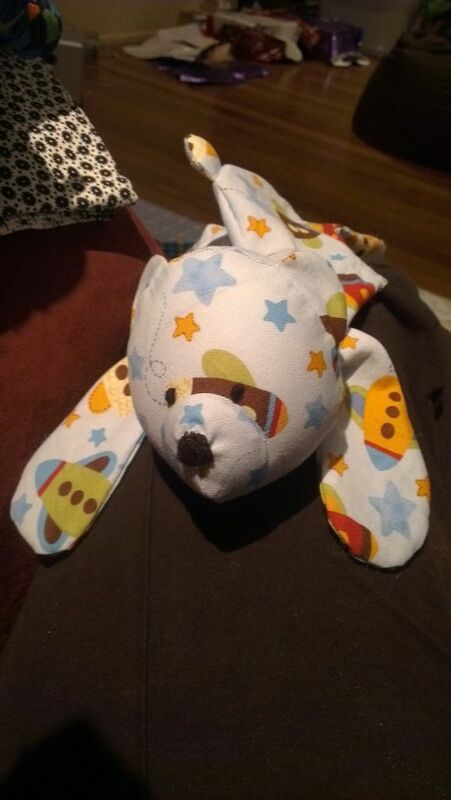 Your stuffed animals turned out really cute. Those are wonderful bears! It's nice to try a new craft. 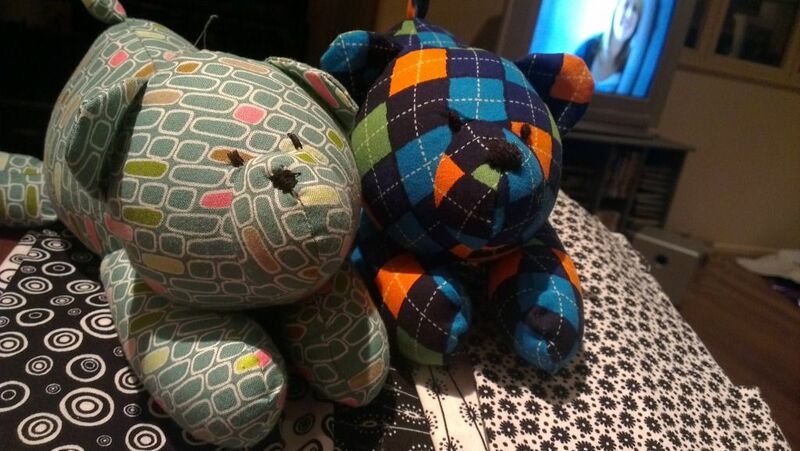 congratulation for the weight loss..
lovely fabric..and super cute bear..
Those bears are just the cutest thing !! I LOVE them !!! Well done on the weight loss, you did really well this week !!! They are all such cute critters. I can't pick just one. Congrats on the loss! Here's hoping to a slimmer Christmas. Well done, thats a good bit in one week.